It is a finely ground flour of whole wheat berries. It is derived by grinding the whole grain of wheat. It is high in fiber and more healthy and nutritious than white flour. It is a brownish flour with a coarse texture and sweet nutty flavor. The word 'whole' is used to describe this flour as it includes every aspect of the grain, the bran, germ and the endosperm as well. It is also known as Whole meal flour and is called Atta in India. Whole wheat flour is much more nutritious than white flour (Maida) as maida is a refined product of wheat - meaning it is obtained after processing the wheat, which makes it less nutritious. The lesser a grain or vegetable is processed the more nutrients it retains. The outer brownish layer is removed from the wheat and the inner white portion is used to make maida flour. 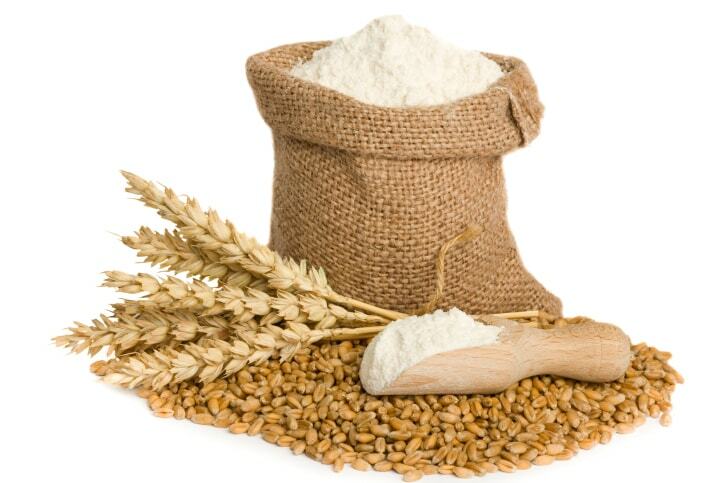 Whole wheat flour contains fiber and various other nutrients which are missing in maida. 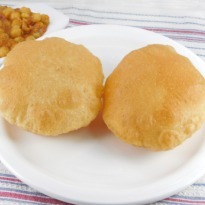 It is commonly used to make Indian flat breads like chappati, naan, puri etc. It is often used in baking breads and other items. 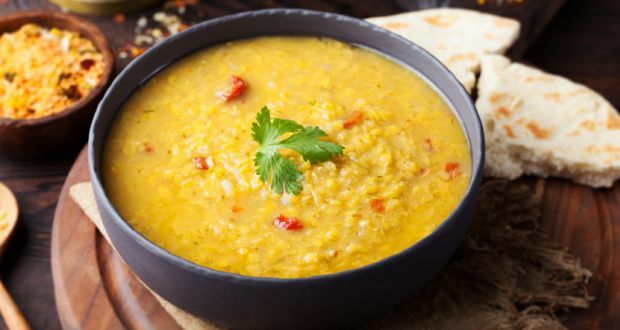 It is often mixed with other varieties of flour in order to add some nutritional value and provide some texture. Whole wheat pastas are widely popular among health conscious consumers. It is also used to make pizza bases. 1. Whole wheat flower helps lower the risk of type 2 diabetes. 2. It is a rich source of magnesium that acts as a cofactor for enzymes involved in the body's use of glucose and insulin secretion. 3. 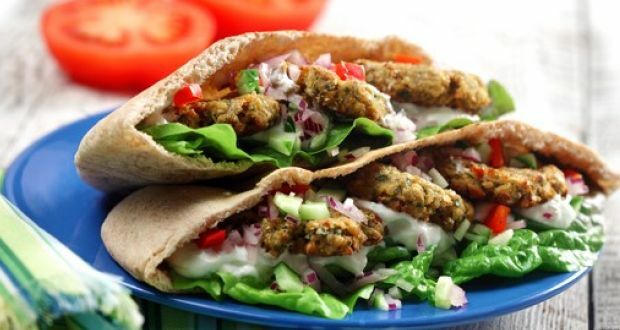 Betaine in whole wheat flour helps in lessening chronic inflammation. 4. It is high in insoluble fiber that can help women avoid gallstones and protect against breast cancer. 5. Consumption of whole grain products and dietary fiber has been shown to reduce the risk of high blood pressure and heart attack. 6. It reduces the risk of diabetes and coronary heart disease. It acts as a laxative. When buying whole wheat flour, ensure to check the packaging date and look for varieties which mention 100% whole wheat on the label. Due to the presence of oil in the bran that it contains, whole wheat flour is more susceptible to spoilage as the oil can turn rancid. Therefore it should always be stored in an air tight container in a cool, dry place or should be refrigerated in case it has to be stored for a greater amount of time. Tip: Baked goods made using whole wheat flour have a heavy dense texture and a bitter taste. Mix with all-purpose flour to get a palatable dish or increase the water content of dough, knead longer and allow a longer raising time. 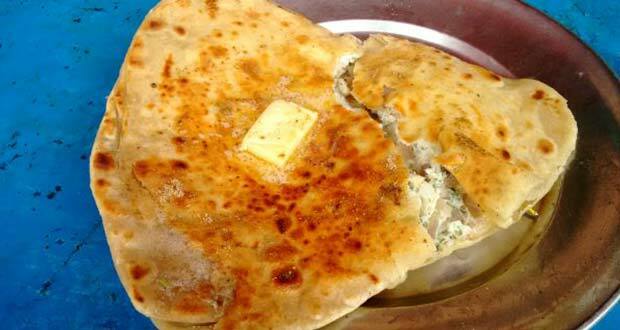 Feast your tase buds on this protein-packed paratha. A combination that can never go wrong, this will keep you fuelled through the day. A snack that both healthy and delicious. 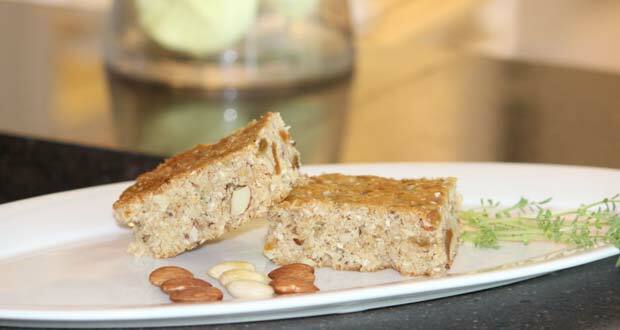 Your kids will love to nibble on this granola bar loaded with all good things like oats, wheat flour, jaggery, honey, almonds and sesame seeds. One most the most loved sweet snacks of Bihar, thekua is also relished in states like Uttar Pradesh and Jharkhand. These crunchy rounds are very easy to make with only four main ingredients. 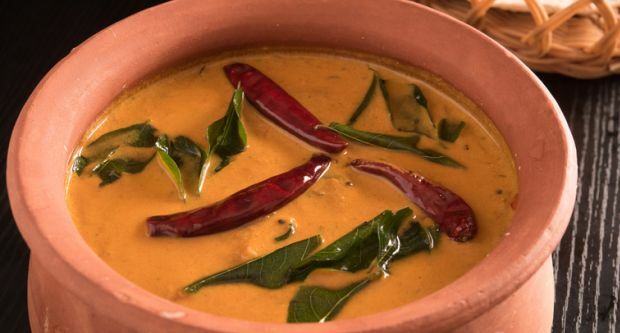 Relish the unusually ecstatic flavours of this Rajasthani raw mango curry along with the traditional Khoba roti. 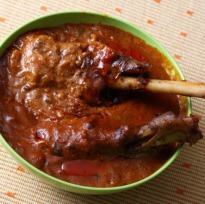 This exquisite Sindhi delicacy is a real delight for meat lovers. The mutton chops are cooked till they're juicy and tender making this dish hard to resist. One of the most loved and relished foods of the country. Wheat flour worked up in a dough, made into balls, rolled out and deep fried to perfect golden brown. 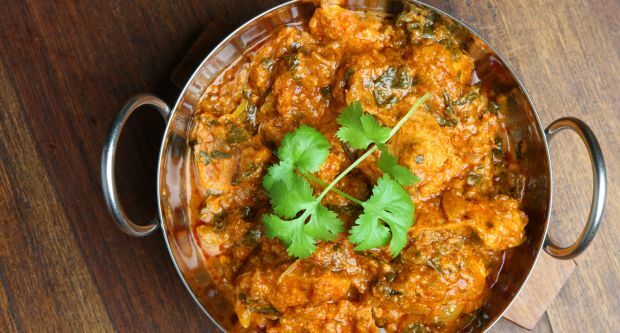 Serve them hot with your favourite curries or just a little pickle. 'Daal Dhokli' is a popular Gujarati curry. Savory dumplings made of whole wheat flour simmered in tuvar daal. 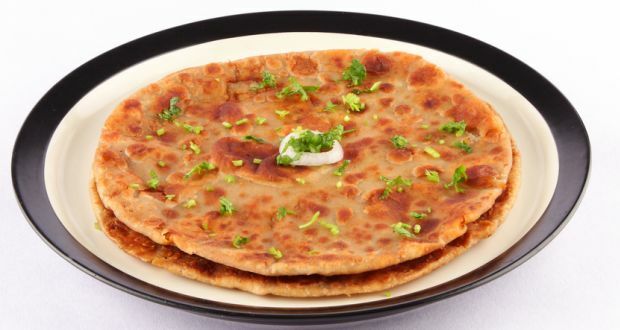 Soft dough stuffed with the spicy filling of mashed potatoes with coriander, chillies and other spices and then rolled out into big round parathas. It tastes best with a dollop of butter! !